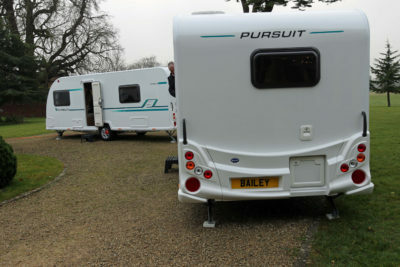 The new Bailey Pursuit range has six models in the line-up for 2017 – from a two-berth up to two family sized six-berth models – the latter being a new layout. At the time of writing, they retail at £14,599 to £16,499 (including VAT at 20%) and the weight range is pleasing. You don’t need a 4×4 or a gas-guzzler, as the MTPLM spans from 1090kgs to 1450kgs, therefore meeting the needs of many families with small to medium sized tow vehicles. Construction is of course the company’s Alu-Tec bodyshell, with a GRP outer skin, built on an AL-KO galvanised steel chassis. 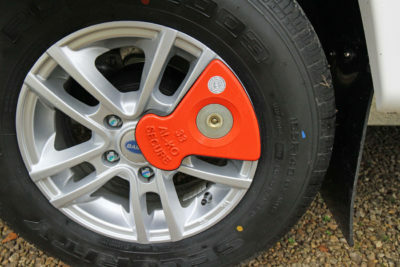 There’s also an AL-KO AKS 3004 stabiliser, AL-KO Secure wheel lock receiver and a spare wheel included. The styling has had a revamp too with polar white body shell panels featuring new Bailey family graphics to make it stand out from the crowd! Mendip Ash furniture, the Bailey company’s favoured finish, is complemented by taupe and cream upper locker doors and “burnt oak” worktop laminate, finished with smart polished chrome fixtures and fittings. 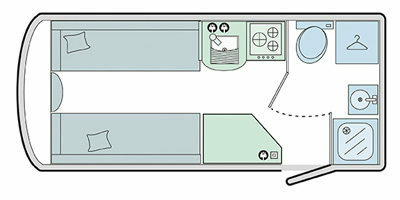 Upholstery is called “Festival” and cushions and beds have Ozio cushion construction and Ozio deluxe spring mattresses. 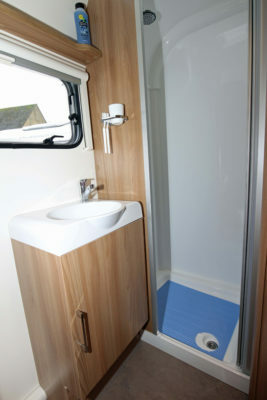 Washrooms are more refined with a one-piece domestic style shower pod with a water saving shower head. In some of the models, there’s a decent sized cupboard, but this is model specific. 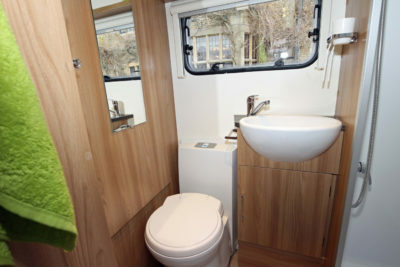 A space saving swivel cassette toilet, with an integral header tank is in all models and washbasins have mixer taps. 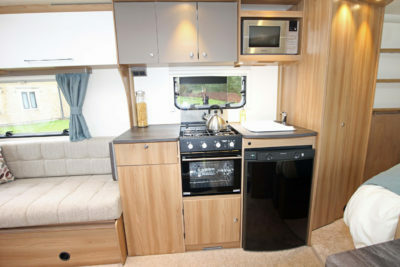 Kitchens are neat, with varying amounts of worktops and storage, all model specific, but feature a Thetford Triplex combination oven and grill, with a three-burner hob, a microwave and a 103 litre Dometic fridge as standard, the latter sporting a sleek, modern black finish. 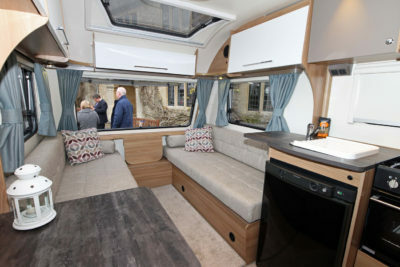 The interiors seem light, bright and roomy, with Heki roof lights strategically placed to maximise the available light, yet don’t give the appearance of being intrusive at night. A Status 550 telescopic directional television aerial and branded radio/CD/MP3 player are included as standard, catering for your entertainment needs. 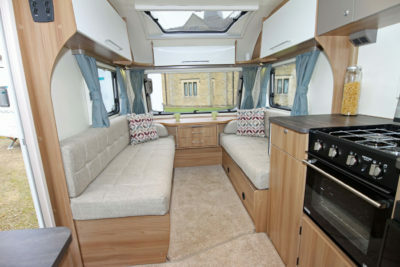 The split section carpet also scores high on practicality and the Pursuit is surprisingly spacious, featuring a 7’4” body width and an internal headroom of 6’5” throughout. 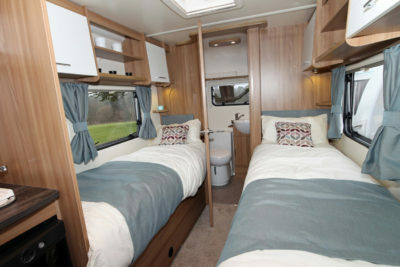 Heating and hot water is via the Truma Combi heating system and as an optional upgrade you can have the “Truma CP Plus iNet ready” fitted, making the Bailey Pursuit caravan perfect for all seasons. Check with your dealer for prices. 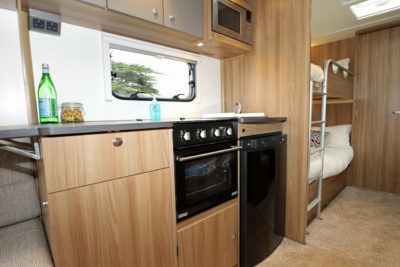 Other optional extras are; AL-KO secure portable wheel lock and AL-KO trailer control system, which will eat into the payload allowance, but will help to reduce your caravan insurance premium. What price is safety? 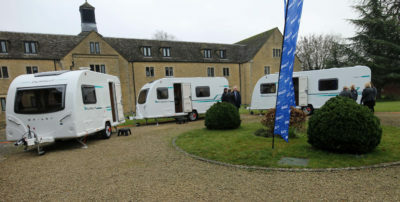 Verdict: A contemporary model range, bringing in many of the Pegasus features and lifting the specification of entry level caravans to new heights. Plus: Unbelievable value for money. Minus: Missing the very popular Unicorn Madrid, three-bed layout in the line-up. 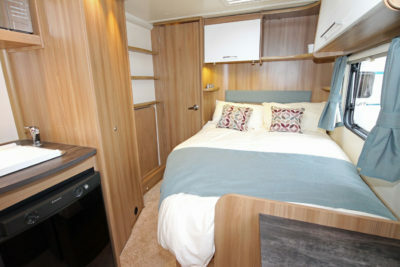 In-a-nutshell: A very competitive, cheerful model range to suit a wide range of current caravan owners as well as attracting tomorrow’s caravanner. 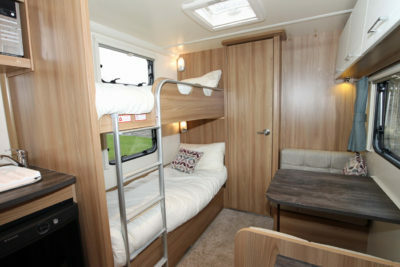 For more information visit www.baileyofbristol.co.uk. 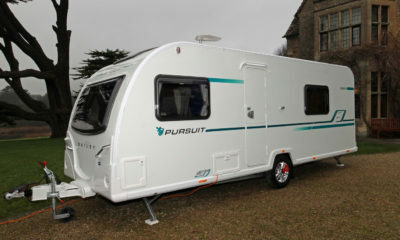 Plus, the full six-model range will be on display for the first time at the Caravan, Camping & Motorhome Show 2017 at Birmingham’s NEC from Feburary 21st to 26th, 2017. Display models will also be arriving at dealerships in February. Exactly the same as last years but with some cosmetic colour changes and gone are the classy grey sides that made it stand out. A price increase but nothing new and the white sides make it look like all the others, each model Bailey bring out is blander than the one before and everything is becoming a cost option.